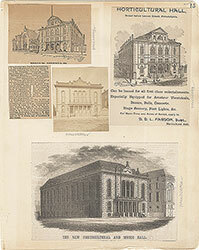 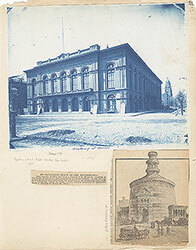 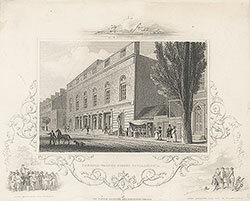 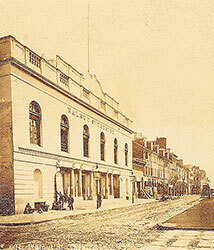 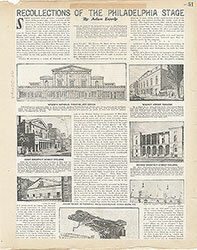 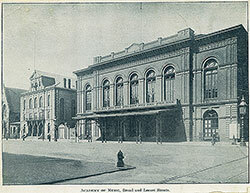 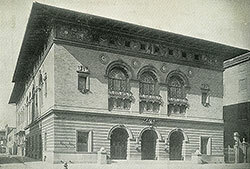 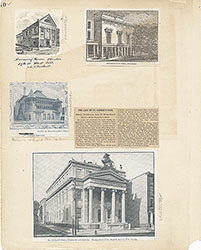 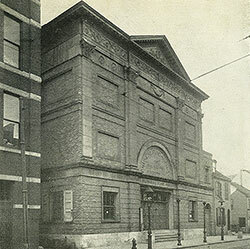 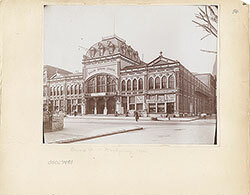 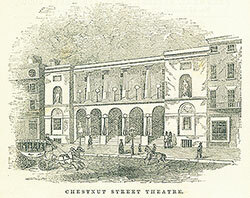 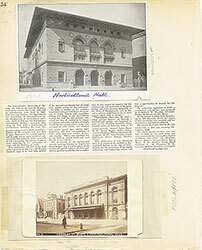 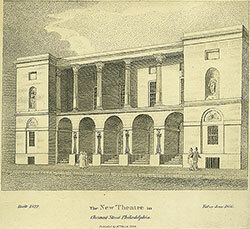 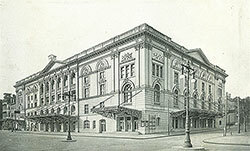 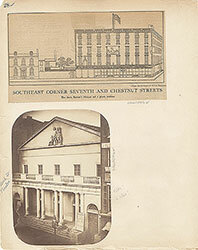 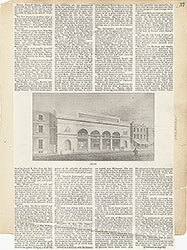 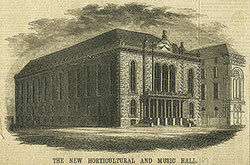 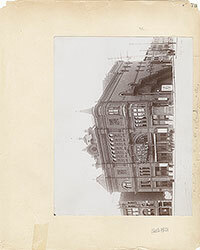 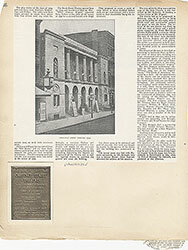 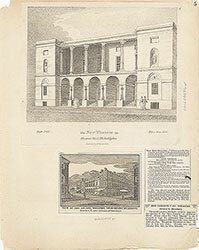 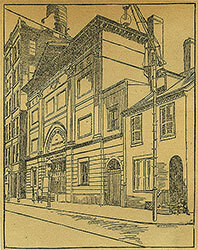 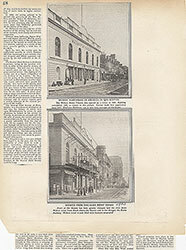 "Formerly the New National Theater, which had opened in 1876, this theater was outside what was then considered the theater district, in a section on the northern limit of the city. 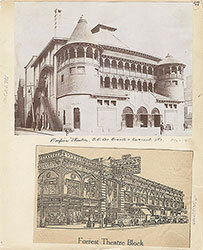 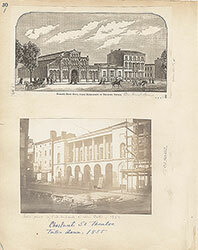 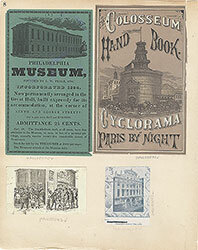 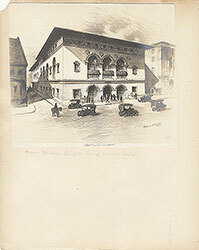 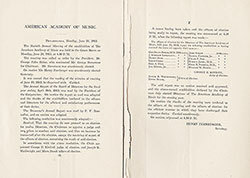 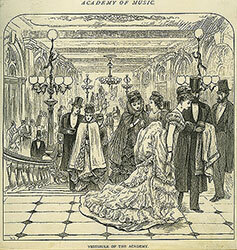 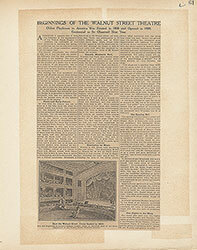 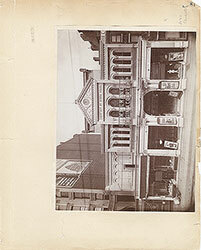 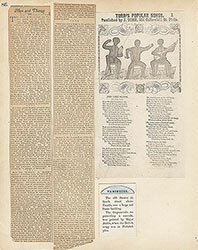 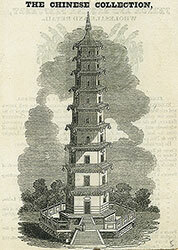 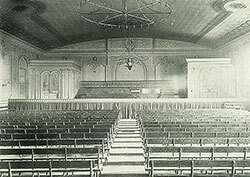 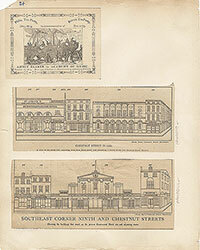 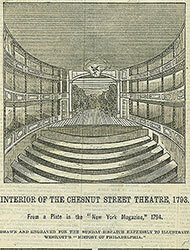 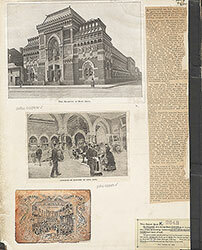 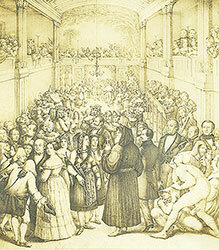 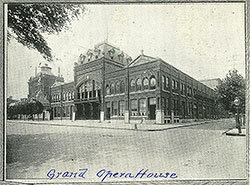 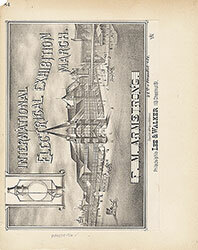 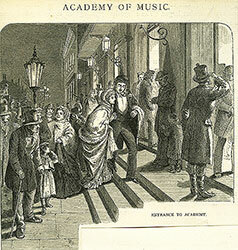 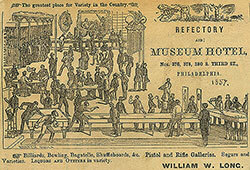 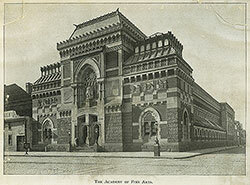 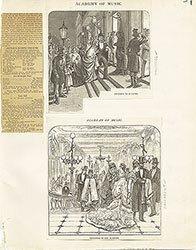 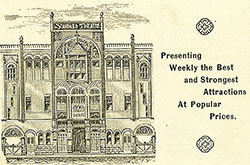 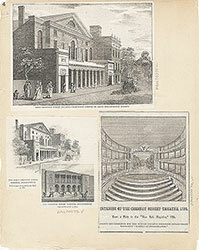 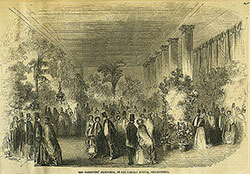 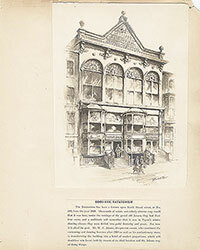 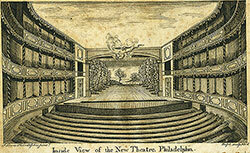 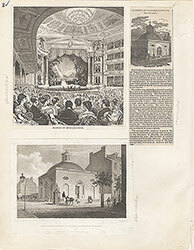 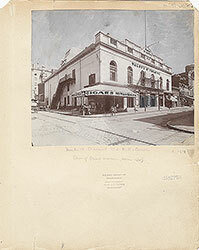 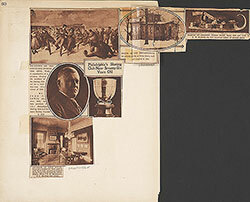 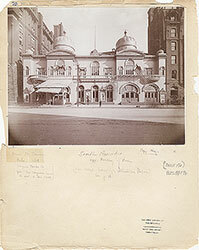 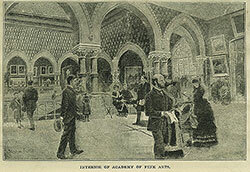 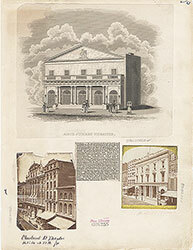 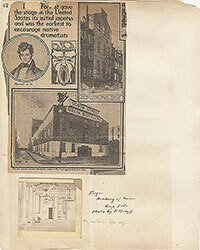 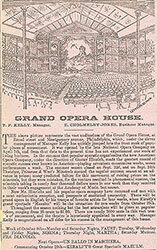 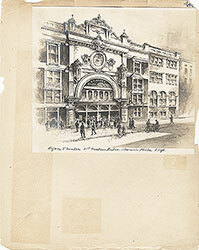 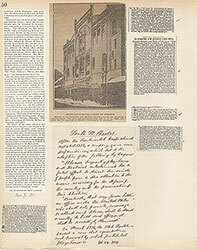 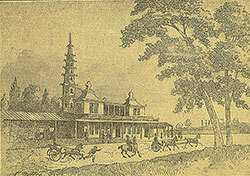 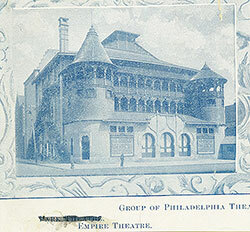 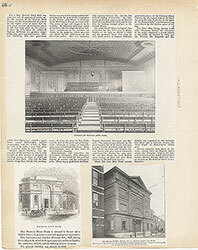 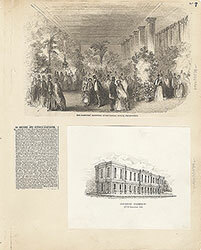 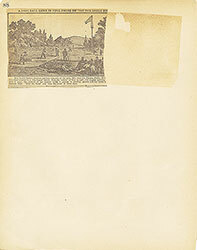 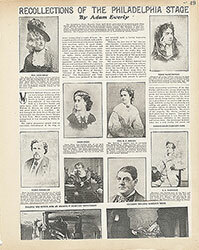 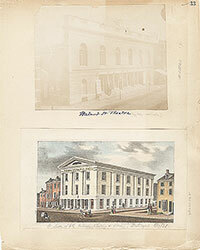 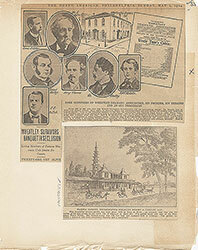 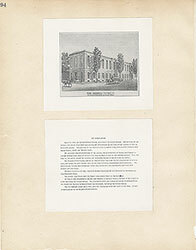 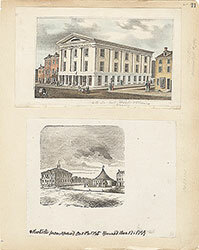 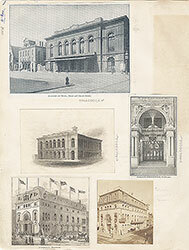 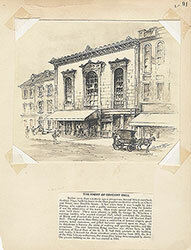 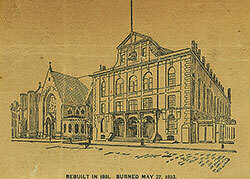 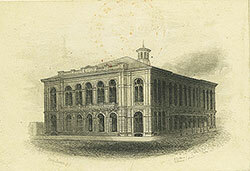 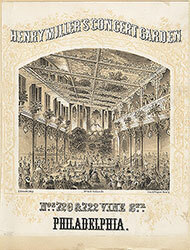 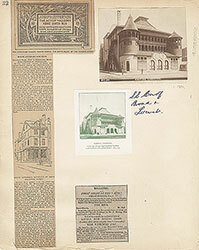 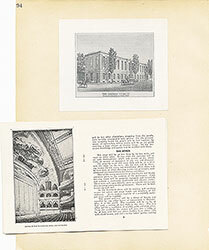 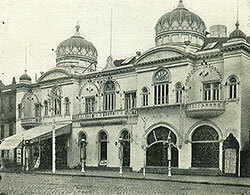 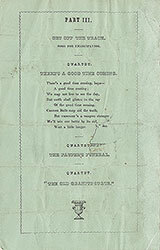 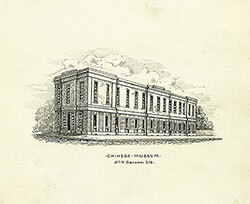 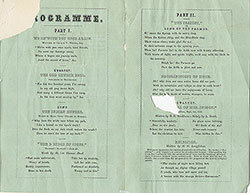 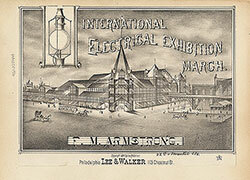 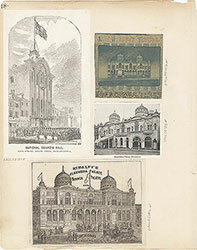 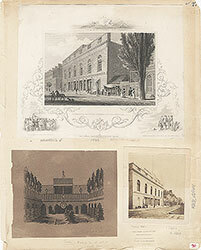 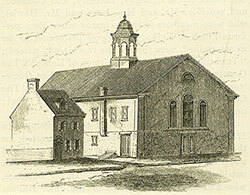 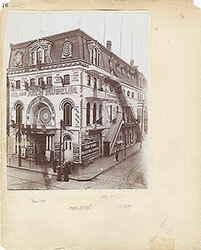 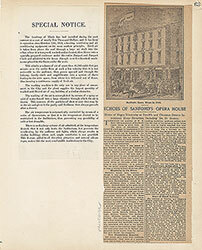 As the picture indicates, it offered vaudeville entertainments and live animal acts. 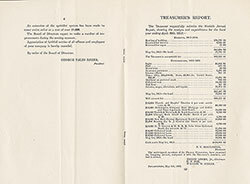 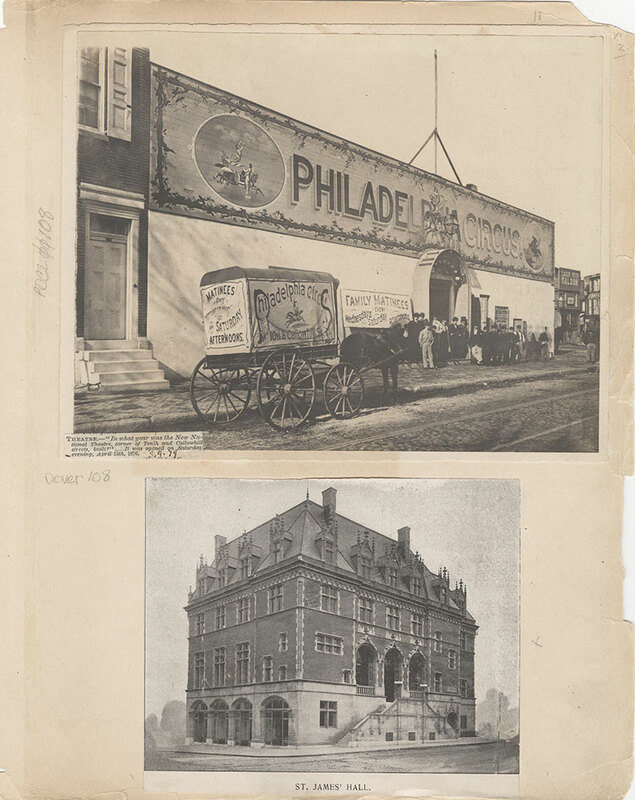 The wagon was a delivery vehicle as well as a mobile advertisement." 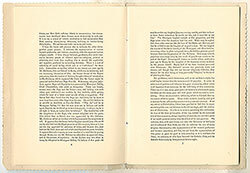 --OPEP, p. 111. 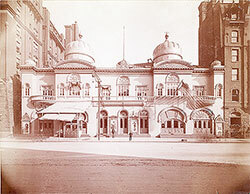 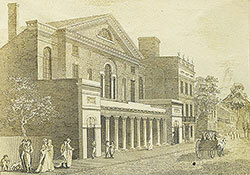 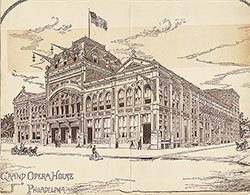 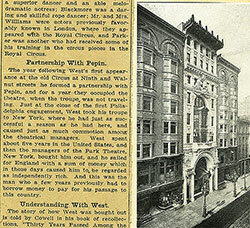 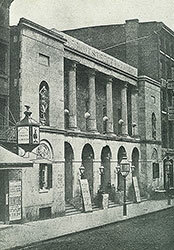 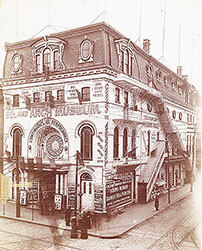 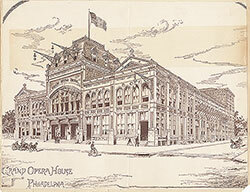 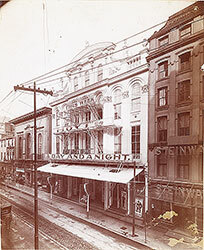 The building with "Philadelphia Circus" in large letters across the top; paintings of circus acts on the left, center, and right sides; and a painted decorative border around sign. 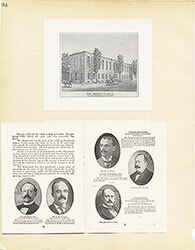 Group of men by the main entrance. 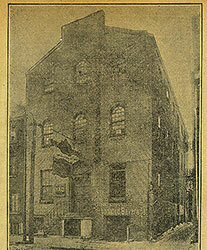 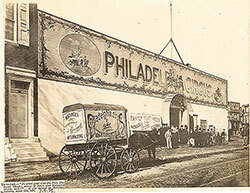 Horse-drawn wagon on street with sign on the sides: "Philadelphia Circus, 10th & Callohill Sts." 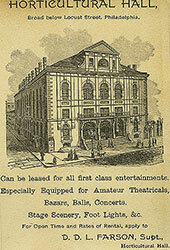 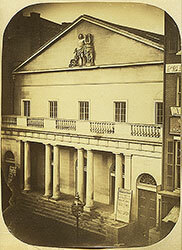 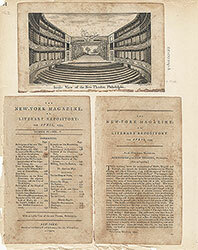 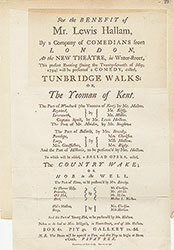 and "Matinees every Wednesdays and Saturday afternoons." 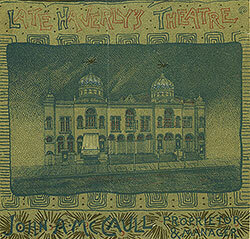 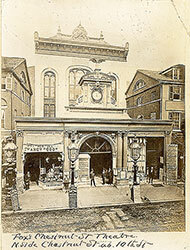 Sign to the left of the entrance of the building: "Family matinees every Wednesdays and Saturday afternoons." 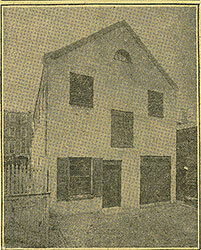 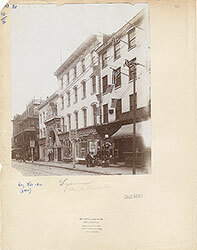 Rowhouse to the left of the building and on the right is a building: "Lager Beer Saloon." 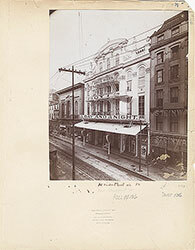 Street car tracks along Callowhill Street. 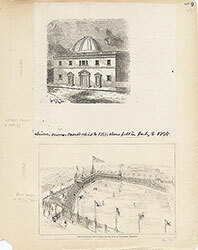 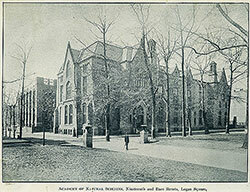 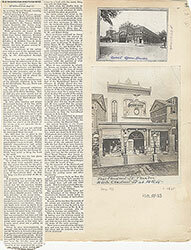 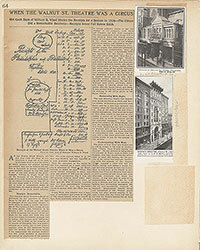 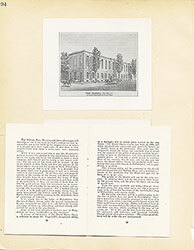 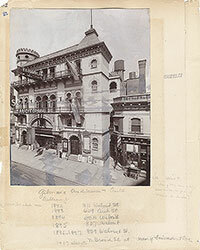 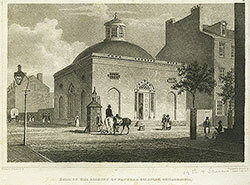 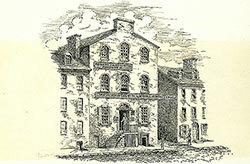 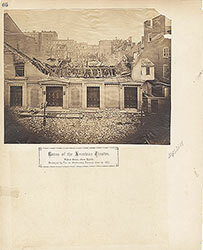 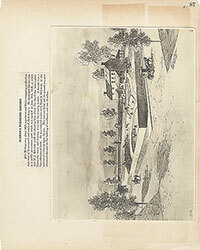 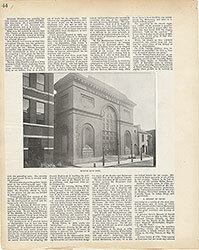 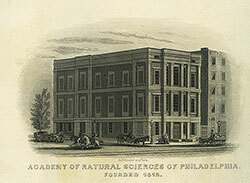 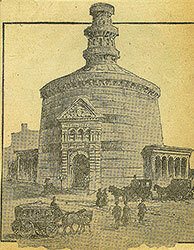 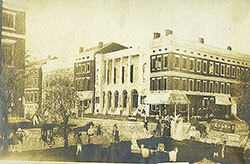 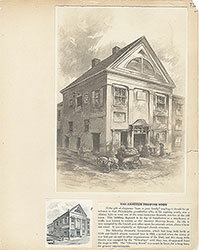 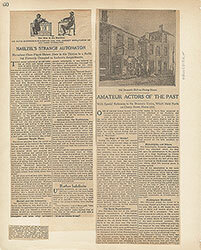 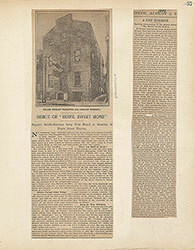 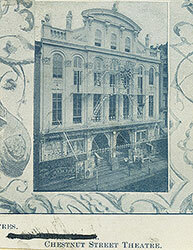 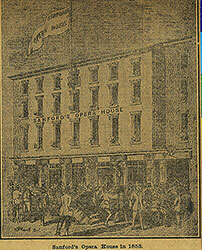 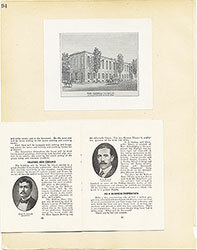 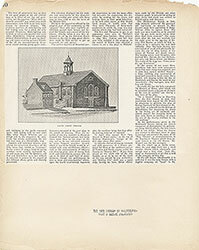 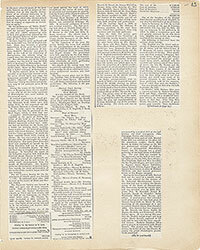 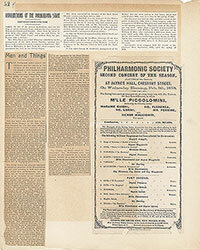 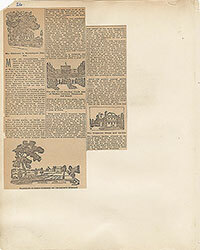 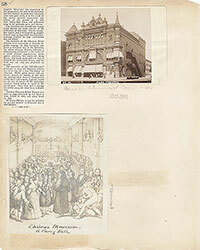 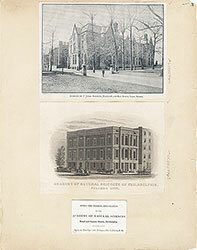 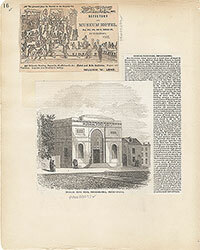 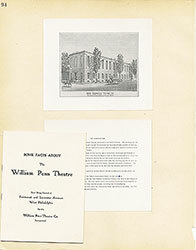 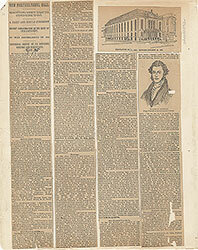 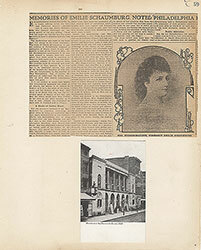 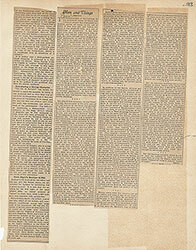 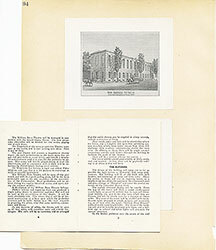 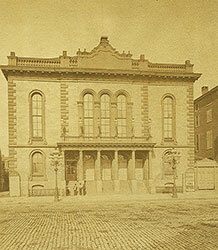 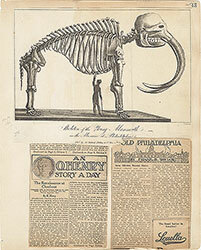 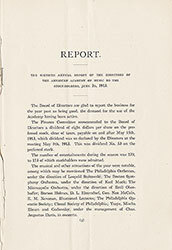 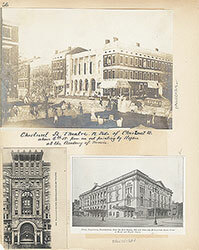 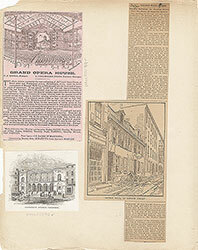 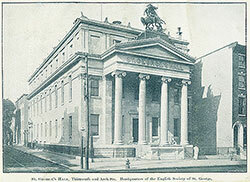 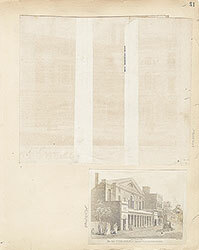 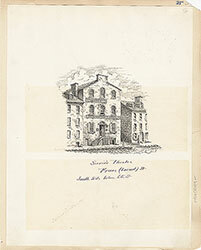 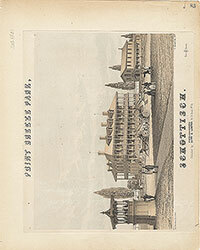 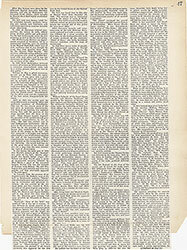 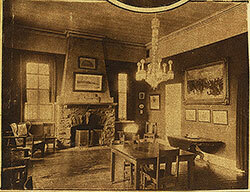 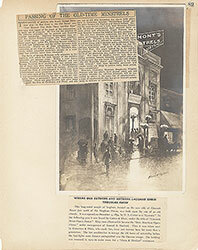 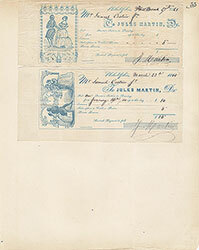 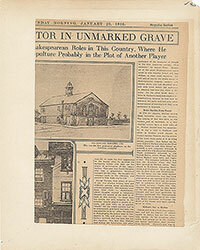 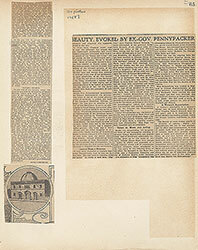 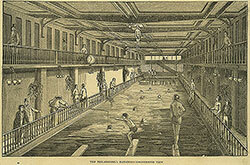 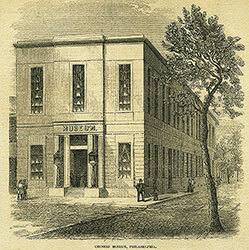 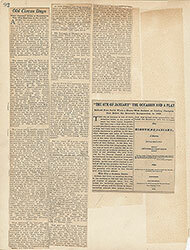 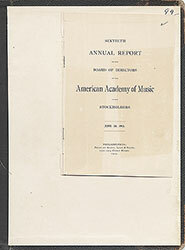 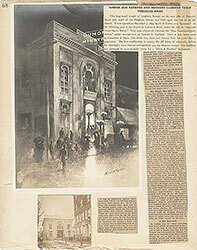 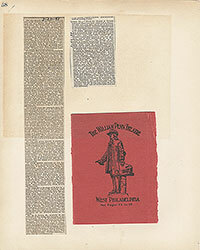 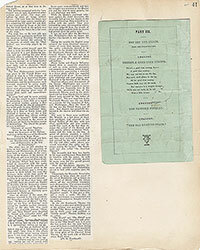 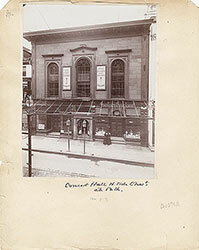 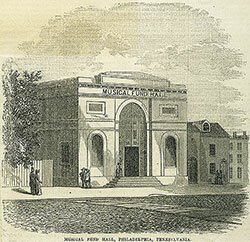 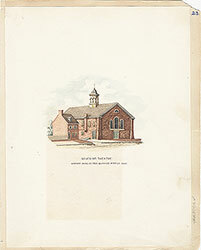 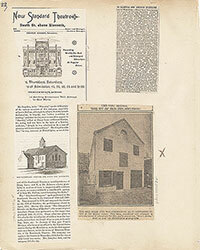 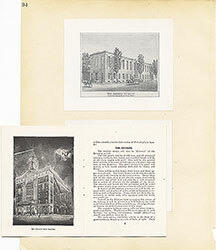 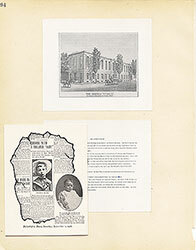 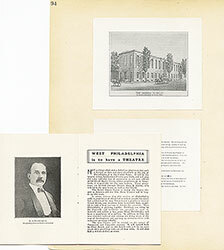 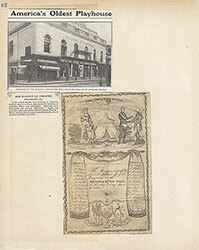 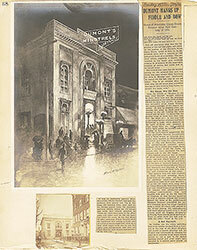 Item pdcl00108: Reprinted in: Old Philadelphia in early photographs, 1839-1914/edited by Robert F. Looney. 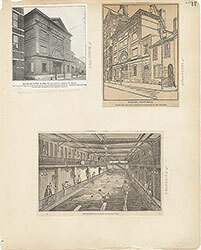 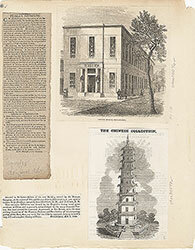 New York: Dover Publications, c1976.